The human brain performs astonishing feats. Neuroscientists attempt to understand how the brain works and find themselves confronted with the most fundamental questions about humanity: how is our personality connected to the structure of our brain? Could computers develop consciousness? Can the "I" be found in the brain? Do human beings have free will? Is consciousness possible without a brain? Are the experiences of God or transcendence merely an illusion of the neuron? 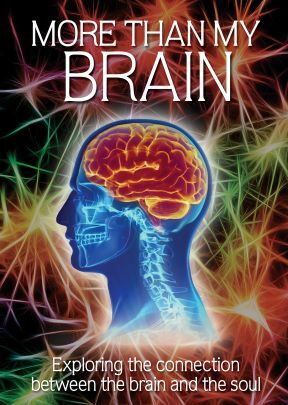 This documentary takes you on an interdisciplinary journey with neuroscientists, philosophers, theologians, all asking these great questions, and points to where science exceeds its limit to become a world view. Best scientific video on the New Age Movement ever made. The definitive work on the New Age Movement. Explores its birth, its invasion, and its effect on western society. It explores the pagan roots of eastern mysticism, meditation, Yoga Conspiracy of the New Age Movement, and more. Why-thousands of churchgoers have begun to believe the lies first told by - the serpent in the Garden of Eden. Why Yoga Conspiracy of the New Age Movement, meditation, psychologiaI therapy and self-help are turning millions to a pagan worldview. How the west is being intentionally.evangelized by eastern mystics and New Age visionaries. 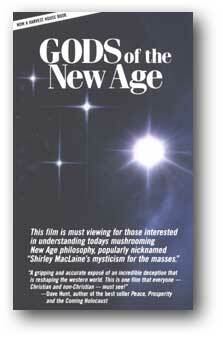 This film expores the eerie world of ego-maniacal gurus and their western counterpats, New Agers. In a series of exclusive, candid interviews, we share the thoughts of "master" and witness the blind devotion and mindless obedience of "disciple." Gods of the New Age takes us from a clandestine, early sixties planning meeting held by Indian gurus to today's dignified U.S corridors, American schoolrooms and Christian churctes. The film uncovers the chilling paralels between today's Western culture. and the similar climate that bred Hitler's Third Reich a generation ago! "This is the most powerful Christian documentary I have ever seen!"